You will have to excuse this post. I have had a fairly busy week trying to organize my house with a lively 4-year-old on the loose. It seemed that as I cleaned and organized one room he destroyed and un-organized the previous room. It has pretty much been a never ending cycle for me this week. I’m sure those of you with kids understand exactly where I am coming from and have been there yourselves a time or two. 😉 I tried to throw something together that was quick and inexpensive and I think that’s precisely what I have done. So I hope you enjoy this tutorial and more importantly, I hope you have a LOVEly valentines day. 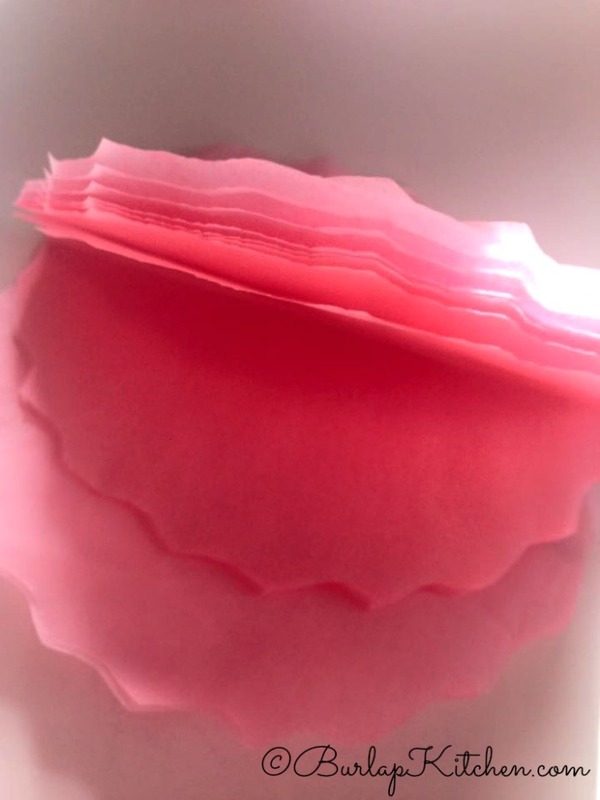 Tissue paper – Red, white, and pink, whatever color you like. I chose red and pink. When buying your tissue paper figure 11 mug sized circles per dum dum. yarn or some sort of string to tie a small bow with. 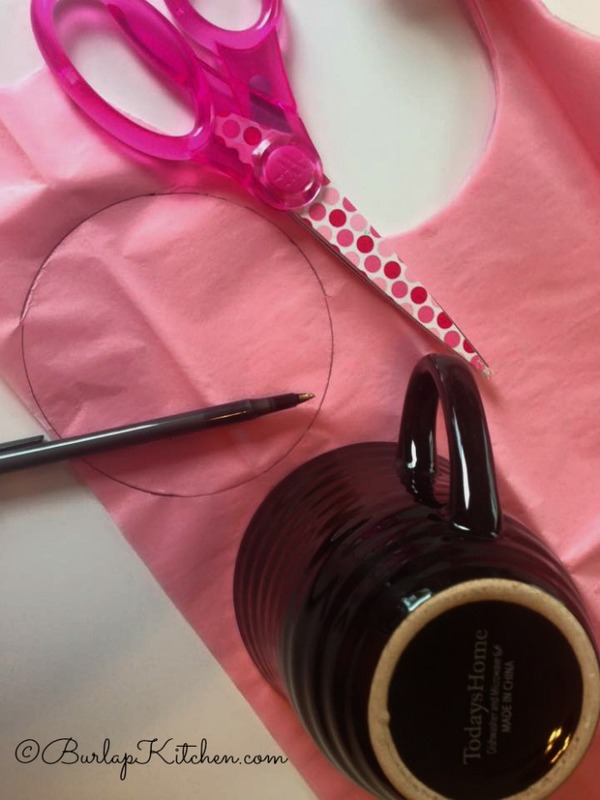 Step 1 – Trace the wide part of the coffee mug onto a bundle of tissue paper. 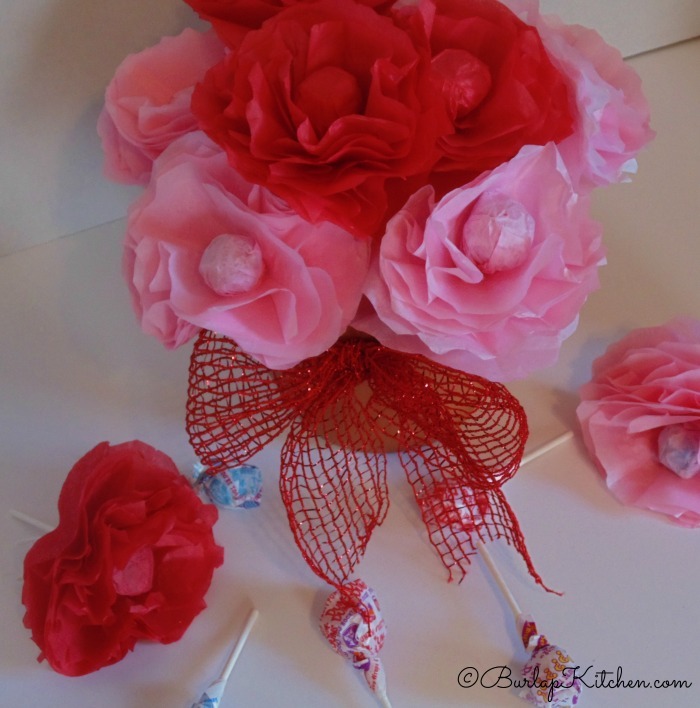 You will use about 11 tissue paper circles per flower. step 2.- Cut the circles out, fold them in half, and use your scissors to scallop the edges. step 3. 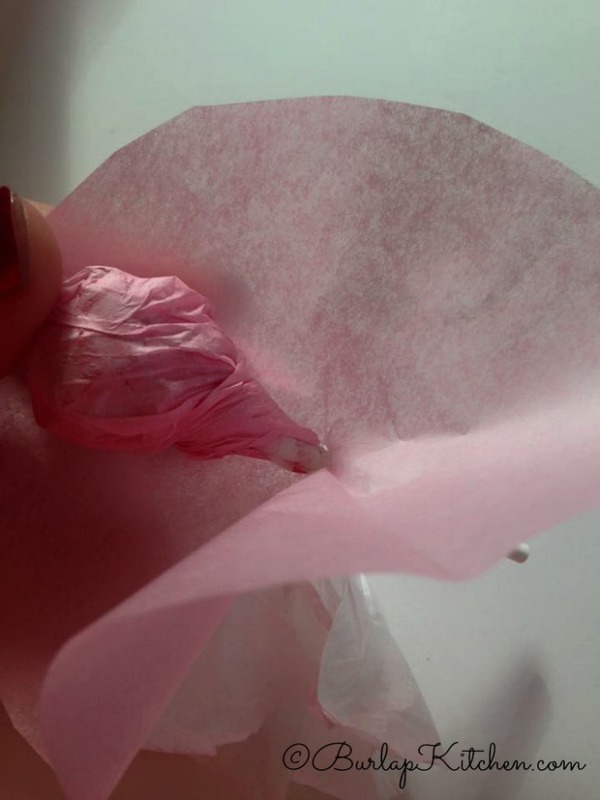 – Take one of the circles and wrap it over the dum dum, twisting it tightly at the base. 4. – Start putting your tissue paper on one at a time. 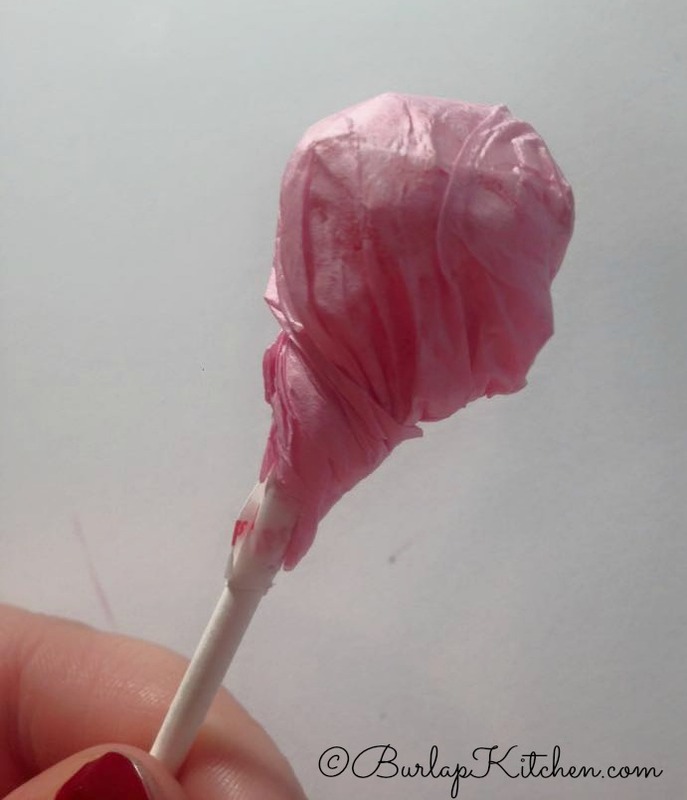 Poke a hole in the center of the tissue paper with the dum dum stick and slowly pull it up. You will want to give it a little squeeze around the base. 5. 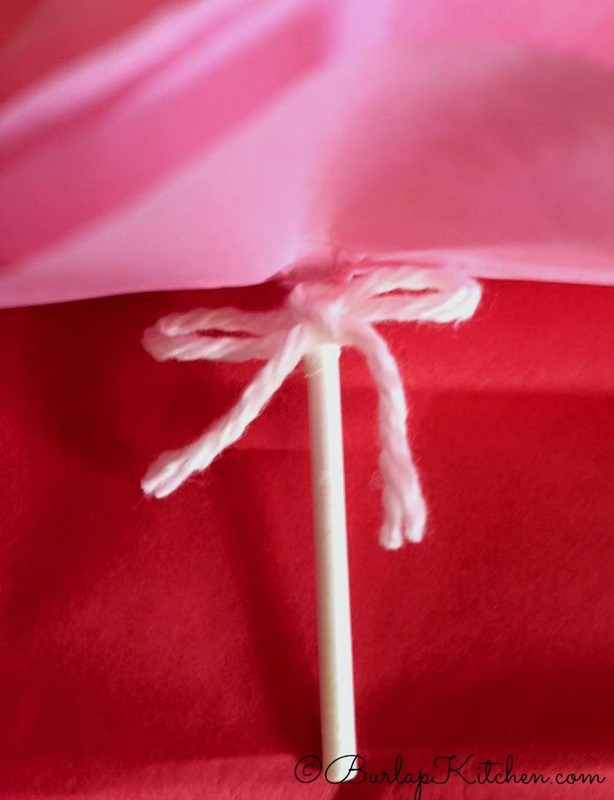 – Tie a little bow at the bottom of the dum dum stick with your yarn to keep the tissue paper in place.